Finally Google have launched its famous tablet "Nexus 7" in India. There is a pretty good news that the price of the tablet is quite cheaper then it was expected. Price of Nexus 7 in India is Rs 15,999 only. This Tablet is available on Google Play store. 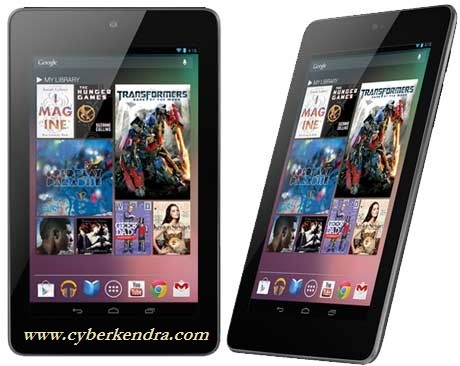 Google Nexus 7 is compared to Apple iPad mini, and hence it seems that Ipad mini price is much higher then the Nexus 7. This will the huge turn point for the sale of the tablet. Producing firm of this tablet "Asus" have said that this tablet "Nexus 7" will gonna one of the most selling tablet over the world. This time company is selling 10 lac's tablets per day. Because of Nexus 7, Asus was awarded as "Gadgets of the Year" on T3 gadgets awards 2012. 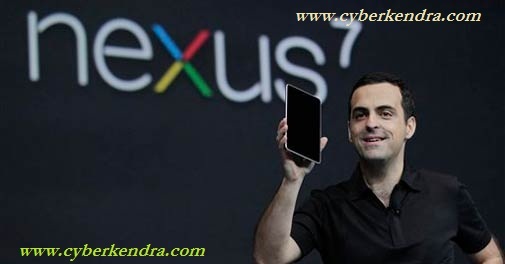 Lets see about the features of Nexus 7, why people are liking it much and what is special in it..
Nexus 7 have display of 7 inch with 1280*800 resolution totally HD display. Lighter in weight, approx 340 gm. high Internal storage capacity, having 16 GB of internal memory. Featured with 1 GB RAM. Cool thing about its battery is that, it is featured with 4325 MAH battery, and company says that will work for 8 hours with watching of HD video. Nexus 7 is based on Android 4.2 Jelly Beans Operating system. Featured with 1.3 GHz Nvidia Tegra 3 quad core processor.